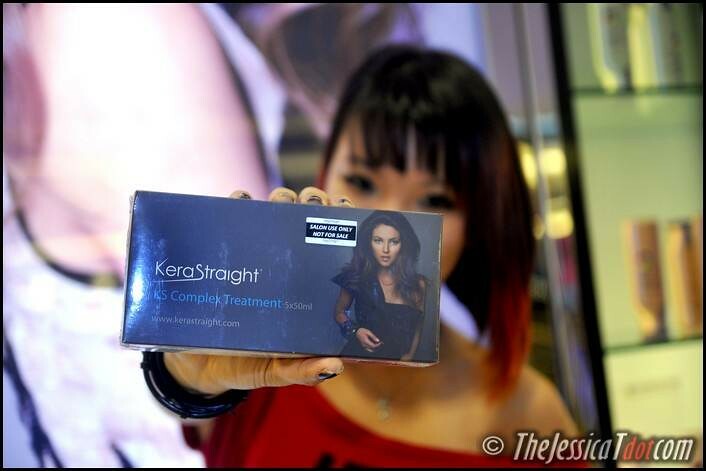 KeraStraight Brazilian Keratin Treatment by A Cut Above! From zero to hero in less than 3 hours. This must be magic? No it’s not. 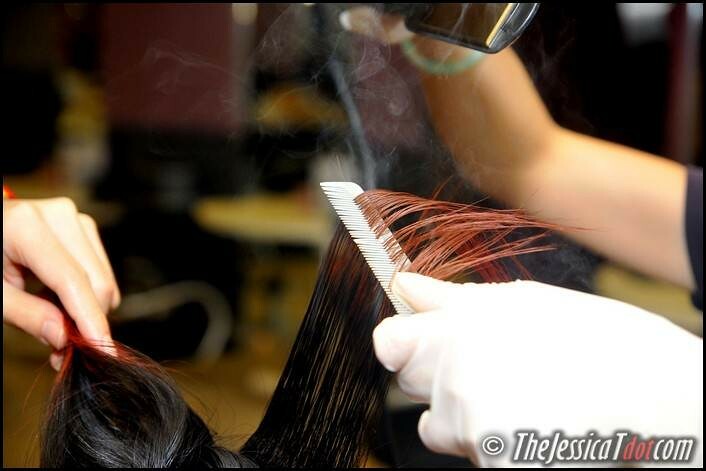 It’s the Brazilian Keratin Treatment! 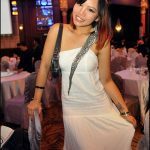 Remember the recent tragedy/mishap that completely fried my hair previously? Deep fried grass. There was nothing I could do. Except…only one way to fix it. Making sure it is given a good treatment to restore it back to health & its natural shine as well as having my destroyed ends perpetually cut off, little by little. 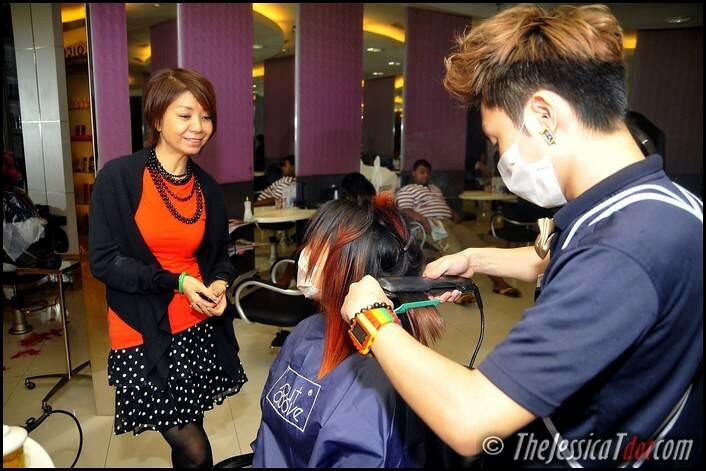 Shot these photos just before undergoing the hair treatment. My dry & unmanageable, frizzy mane I hated its damaged & rough texture! 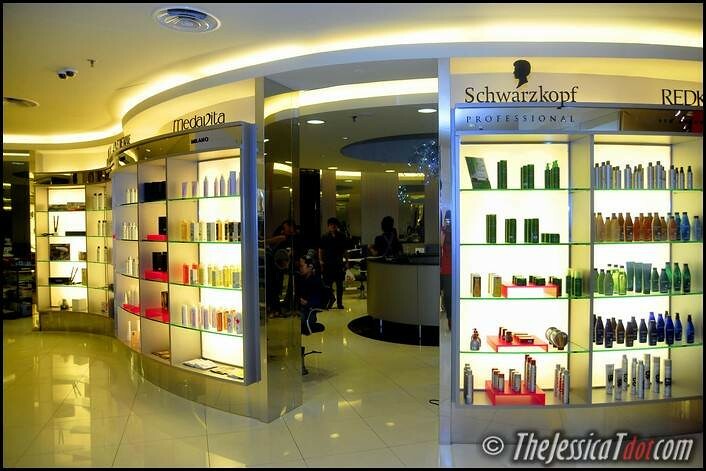 the hair treatment I underwent can be easily maintained and can actually last. 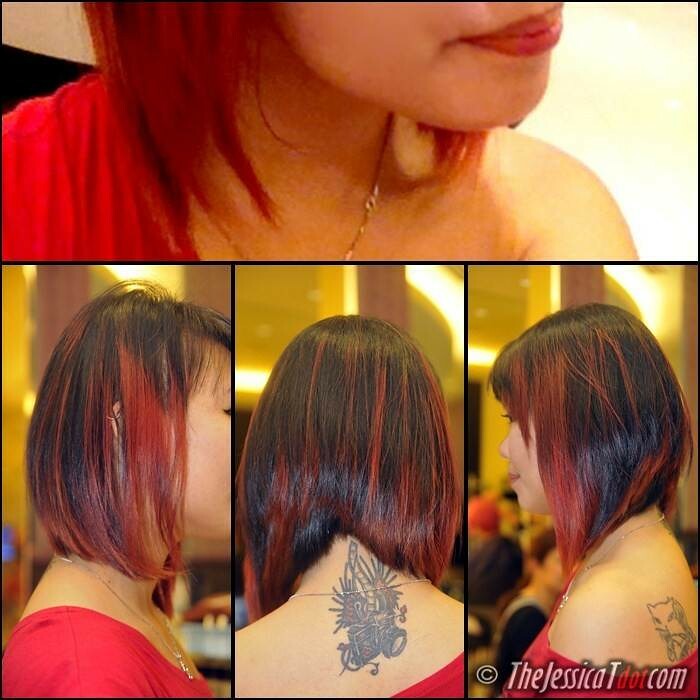 After almost a month, it certainly proved it’s worth, my hair is still very smooth, healthy and straight – so impressive! 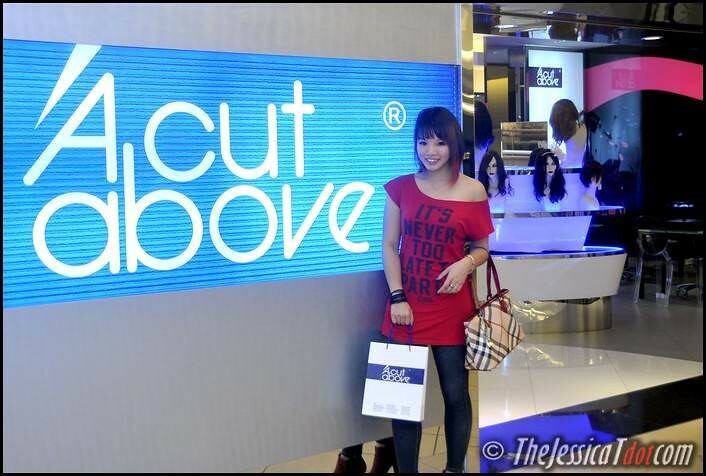 I loved the neat and minimalist-yet-classy concept of A Cut Above’s interior. 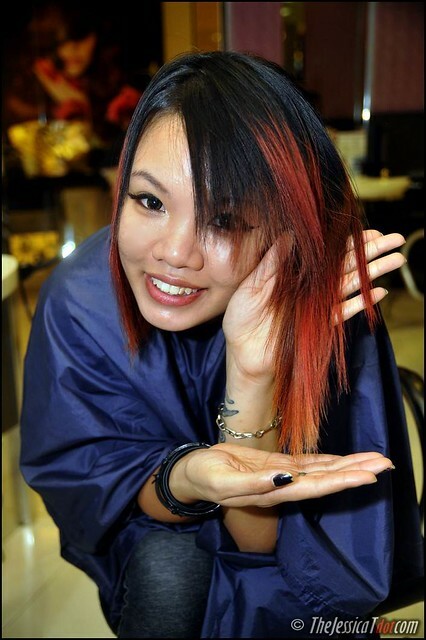 Chief Creative Director & Founder of A Cut Above, Winnie Loo, consulted me on the condition of my hair. She’s one amazing person, by the way. One that I have much respect for since the day we met in 2009. I trusted the fate of my hair upon her. What’s not to trust? She’s a dear friend and also the bigboss of A Cut Above, that speaks for itself! Winnie recommended me their latest technology, the Brazilian Keratin Treatment, as it would be the most suitable for my frizzy, wavy & unmanageable hair. 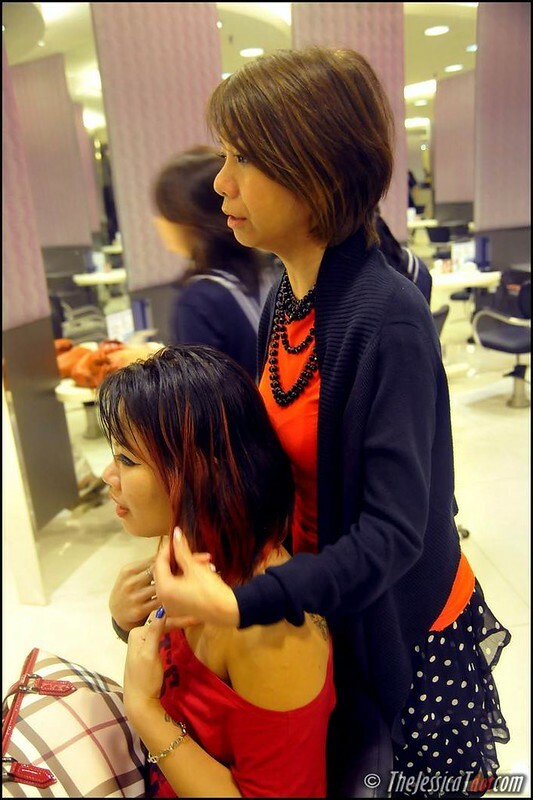 After she accessed the texture of my hair and gave me her consultation, she gave her staff some instructions before they began the procedures. Ready for a detailed, long review and in-depth description of my experience? Since many of you have been asking me to explain and shed some light on the Brazilian Keratin Treatment that I personally underwent, here it is! My hair was first washed with normal shampoo to cleanse my oily scalp. Then it was washed again with a Pre-Treatment Cleanser and left to leave-in for 10 minutes. This is to ensure that my hair cuticles are gently opened, impurities stripped away and ready to absorb the KeraStraight treatment. 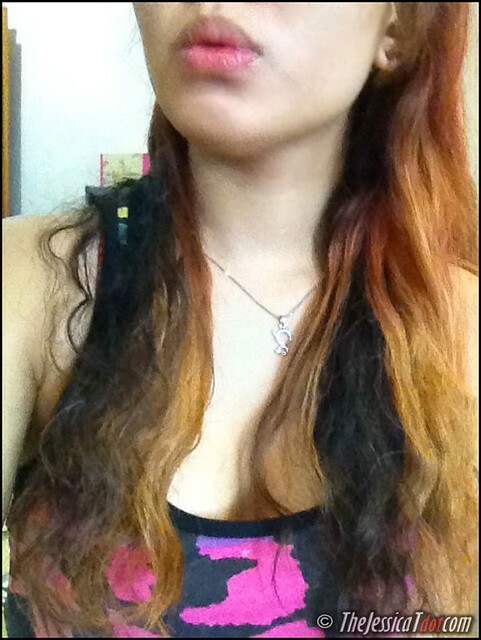 My hair was towel-dried & blow-dried to remove the remaining moisture. 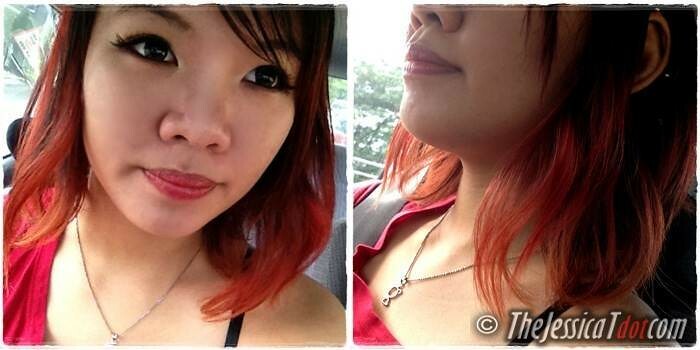 A light mist of Pre-Treatment Spray was sprayed on all the porous & weak areas of my hair. After spraying a copious amount of Pre-Treatment Spray, they lightly blowdried it again. At this point, my hair was ready for the treatment! 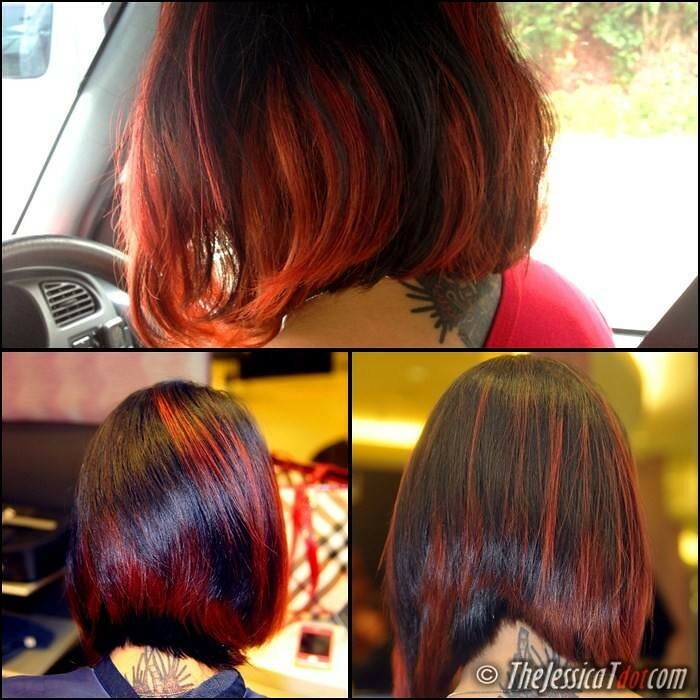 This Complex Treatment is a protein based straightening & repair treatment for normal, wavy, unruly & damaged hair. It is formulated with low pH protein technology which improves the condition of the hair and smoothens it. When they began to apply the KS Complex treatment liberally to all the sections of my hair, I was already bracing myself. Had initially expected a pungent chemical smell to fill the air, but I was so wrong! It had a light, sweet and fruity scent to it – to my utmost surprise! This made my experience all the more pleasant. They had it to leave-on for about 20 minutes so that the treatment “sinks in” properly. Gotta make sure it’s benefits are maximised and penetrated deep into my hair shafts! 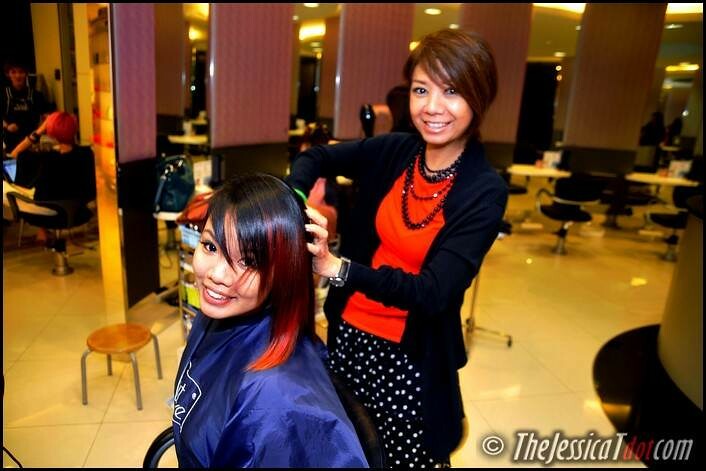 Once the treatment had set in during the previous stage, they both began to blow-dry my hair with medium heat. I was impressed how it made good progress. 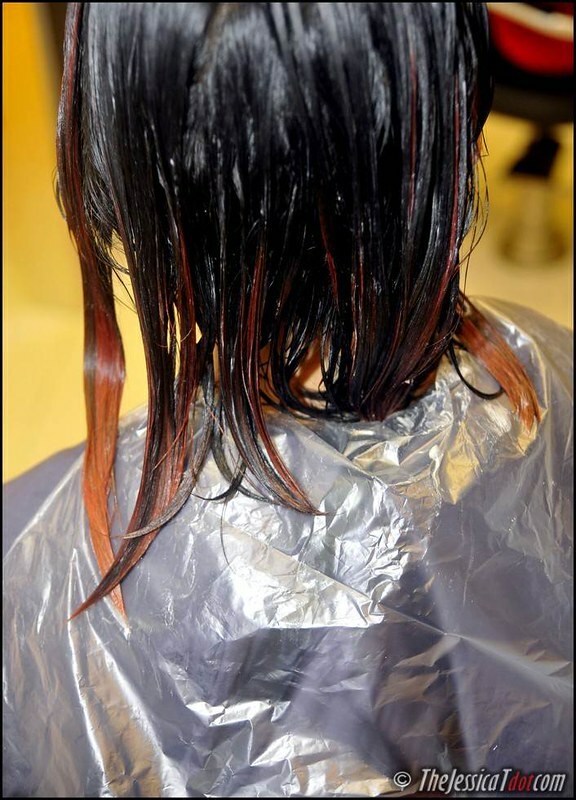 The results were already beginning to show a bit even when the the entire process of the Brazilian Keratin Treatment was not over yet. My hair definitely felt softer & less frizzy even at this stage! The next step fascinated me a whole lot. I was given a surgical paper mask to wear. 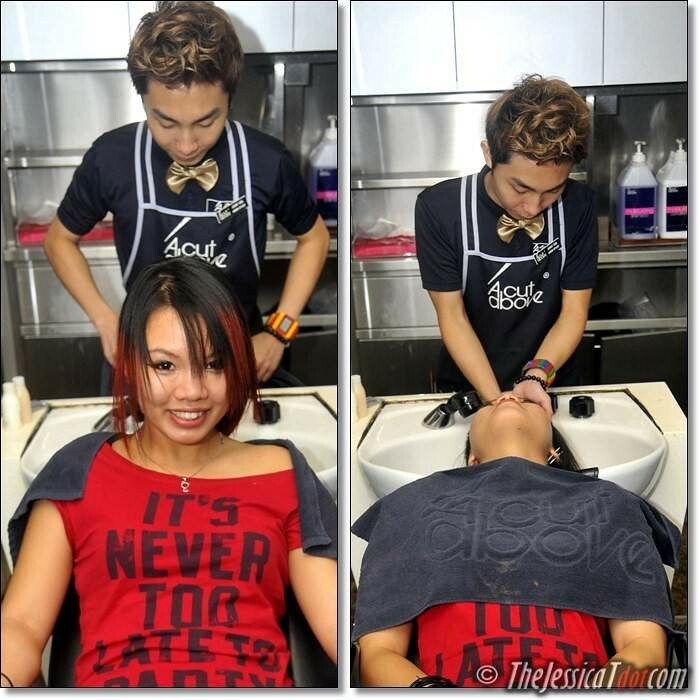 When I glanced at both the hairstylists attending to me, they were already wearing it! How interesting. 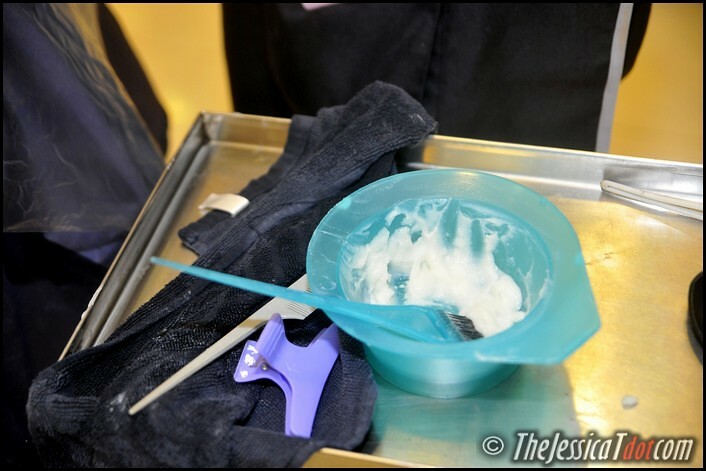 This is the very first hair treatment I’ve undergone that required me to wear a mask! The both of them and I with our masks and their latex gloves. So professional; safety first! Before I could even ask why we needed to wear the mask, they noticed my puzzled expression and explained to me what the masks were for. Apparently, some customers didn’t like the smell of the gas or couldn’t stand the mere sight of the “smoke” emitting from their hair. But rest assure to everyone out there, there is no need to be paranoid or worried. A Cut Above only uses the Brazilian Keratin Treatment by KeraStraight. Their products are Formaldehyde (toxic carcinogen) free! 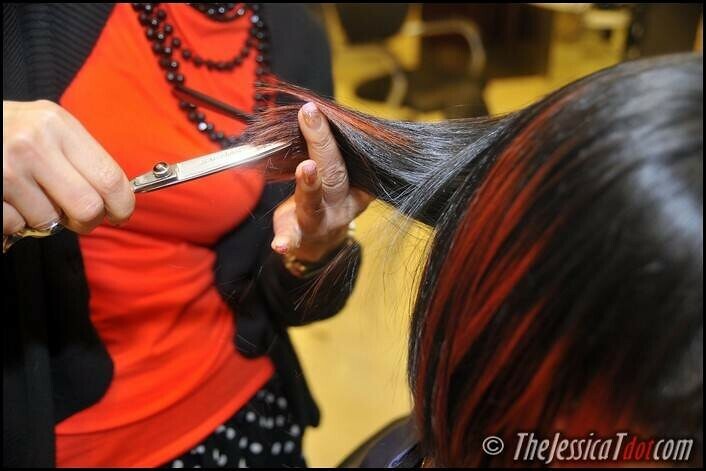 The Brazilian Keratin Treatment requires a process of sealing the liquid keratin right into the hair cuticles. 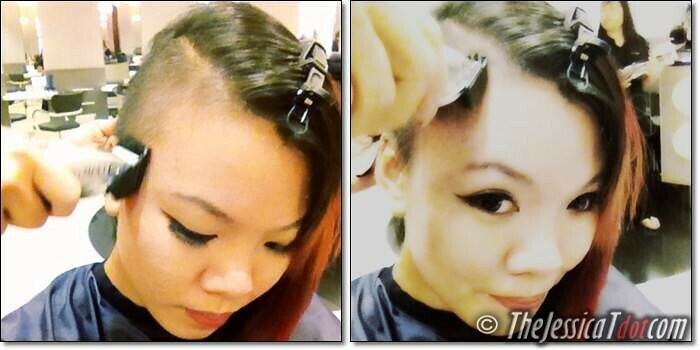 For this purpose, a heated flat hair iron is used. She made sure everything was going fine. It sure was! Her team of hair stylists were doing great. 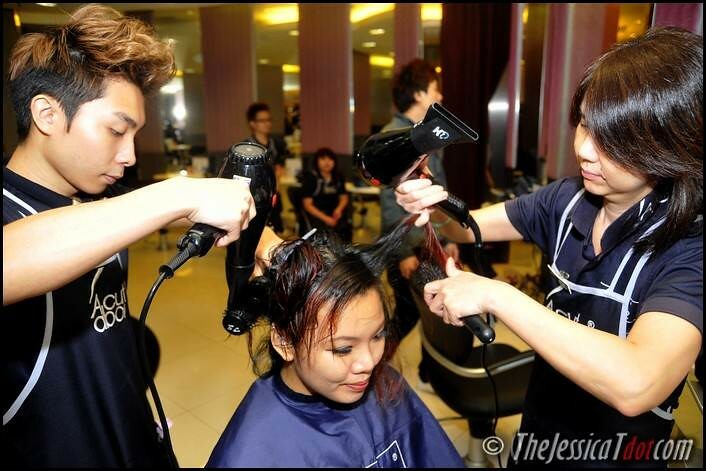 We engaged in some chit-chat while the two of them were still ironing the liquid keratin into my hair. 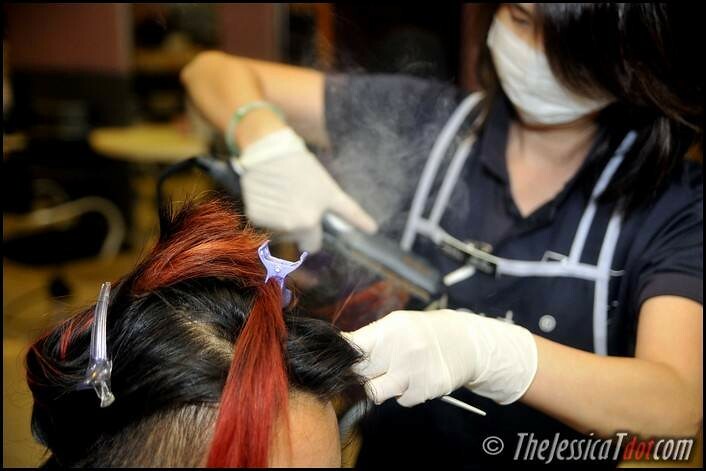 I have to admit though, I was rather afraid when I saw the smoke and how they ironed my hair several times. 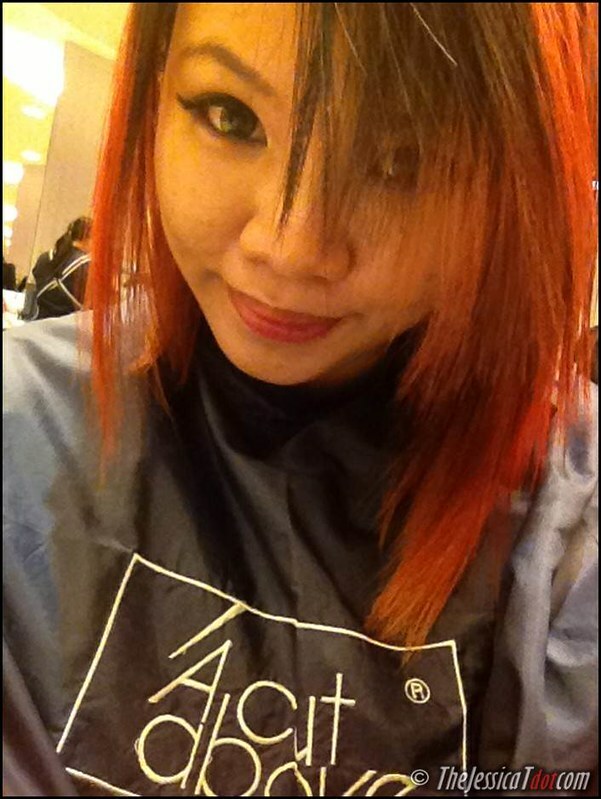 I thought that my hair was on fire or that it was going to be ‘fried’ or ‘burnt’ during this process! Winnie debunked my initial worries and assured me that I have nothing to worry about. The high volume of protein in the keratin solution has coated my hair and acts as a form of protection from any damage. Without the heat from the flat iron, the liquid keratin will not be able to penetrate the hair shaft as effectively anyway. Check out how smooth and frizz-free my hair looks after the ironing! It looks flat here because it’s fresh off the hot iron! He then rinsed my hair from all the treatment cream and shampooed it clean. 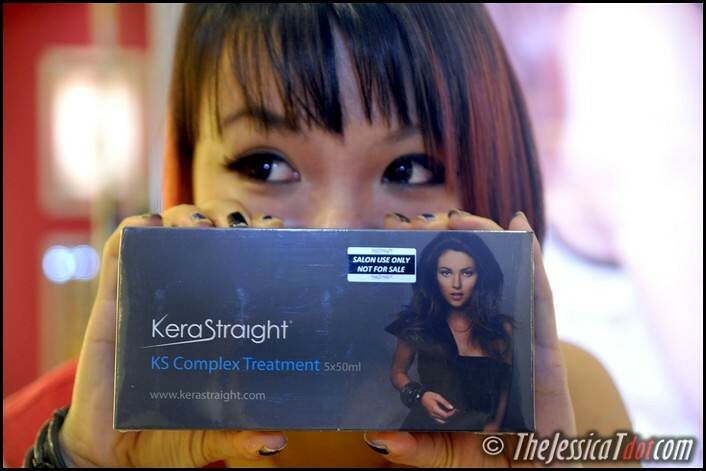 The KeraStraight Straight Maintain Shampoo was used. 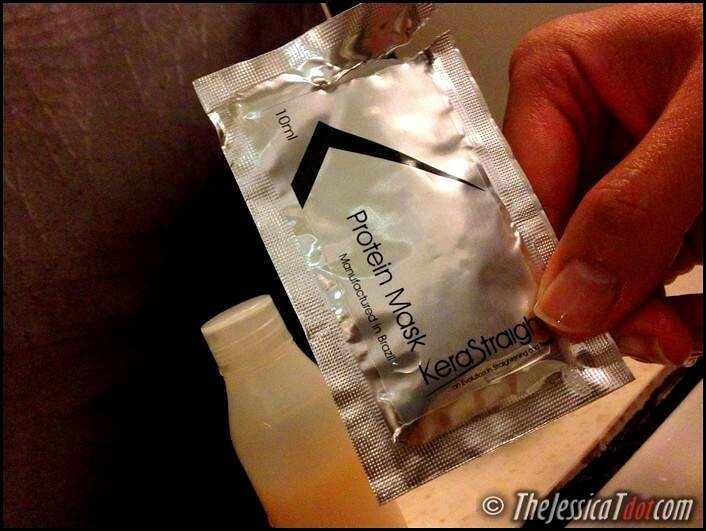 This protein mask is a powerful concentration of low-weight proteins that reconstruct & revitalize damaged hair. It improves hair elasticity & rebuilds it as well – preventing breakage! Washed everything off once it finished setting in! 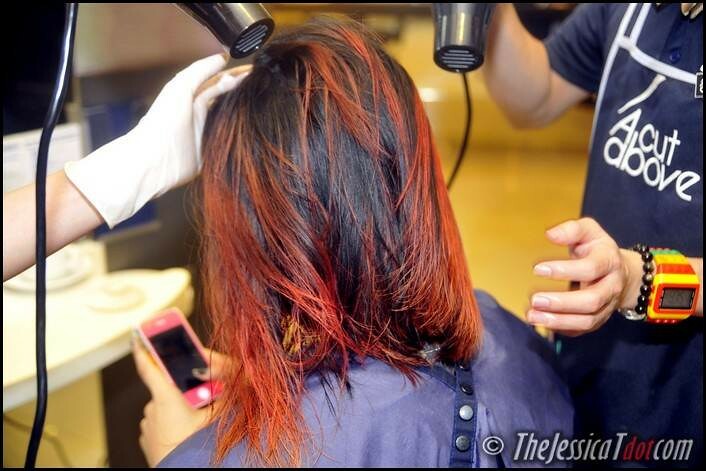 STEP 7 : Blow-dry to finish! We have come to the end of my two-hour Brazilian Keratin Treatment session. It was a very fascinating and eye-opening experience. My hair has never been this hydrated and healthy! It felt so much softer to the touch and the texture was so much smoother and frizz-free. Apart from having softer, smoother & shiner hair, this Brazilian Keratin Treatment has semi-permanent straightening effects too. As it naturally straightened, the result lasts for at approximately 4 months depending on your hair type and your own protein keratin in your hair’s inner structure. After-treatment care is extremely encouraged. 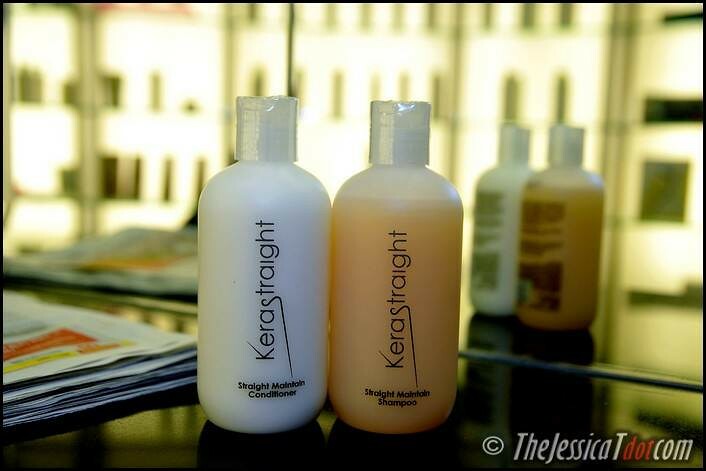 The KeraStraight Straight Maintain Shampoo & Conditioner! The former is a luxury Sulphate-free shampoo that maximises the effects of the KeraStraight treatment. It washes & cleanses gently without stripping away the protective layer of Keratin. The latter is specially designed to lightly moisturise the hair with its blend of complex proteins. This lightweight conditioner’s low pH of 3.5 locks the hair shaft to prolong the results of the treatment. Loving the results so much! I fully recommend this treatment above everything else for healthier & gorgeous hair! Finally, it doesn’t look like unruly, deep fried grass on my head anymore. This comes from the girl you know with bright red hair for the past 6 years. Throughout all my years of chemically-altered & damaged hair from all the bleaching, self-tonged-curling, dying, straightening, perming and everything else I’ve done to my hair, this Brazilian Keratin Treatment has done my hair a favour! Alright, alright. I know a lot of people will freak out when they think of the price. To be very honest, I think this high-tech, natural treatment which strengthens & repairs your hair from within and without, is well worth every penny & a good investment to your hair. I personally have spent so much on my hair (amounting up to several thousands!) over the years trying to give my hair the best it deserves. 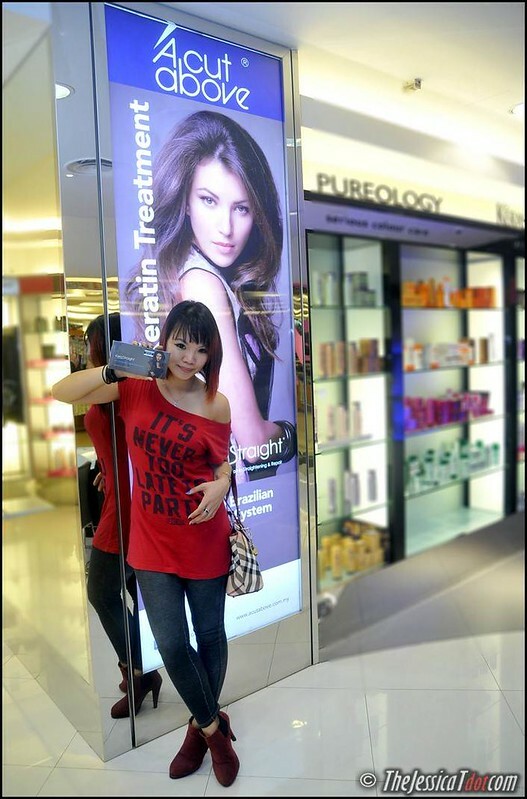 hair treatment with high hopes that it will guarantee you healthier, stronger and smoother hair. – You achieve only the result of softer hair which will last you for a couple of days, or a week, at most. ‘it is good to go for a hair treatment once every few months’. – Your hair is still unhealthy from the inside, still damaged and not even close to being silky-smooth. (one that does not repair your hair but only gives you temporary softness!) would already amount to RM600. Do you see what I mean yet? My point exactly. 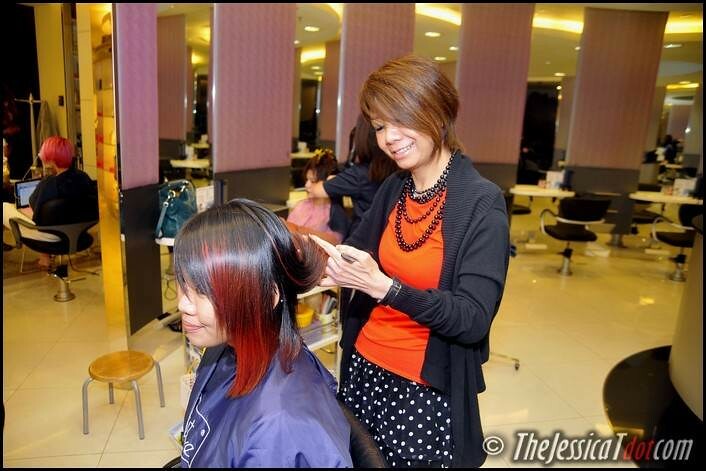 So.. why don’t you just put that RM600 to good use for the hair professionals to give you a high quality treatment that guarantees healthier, stronger & shinier hair once and for all? 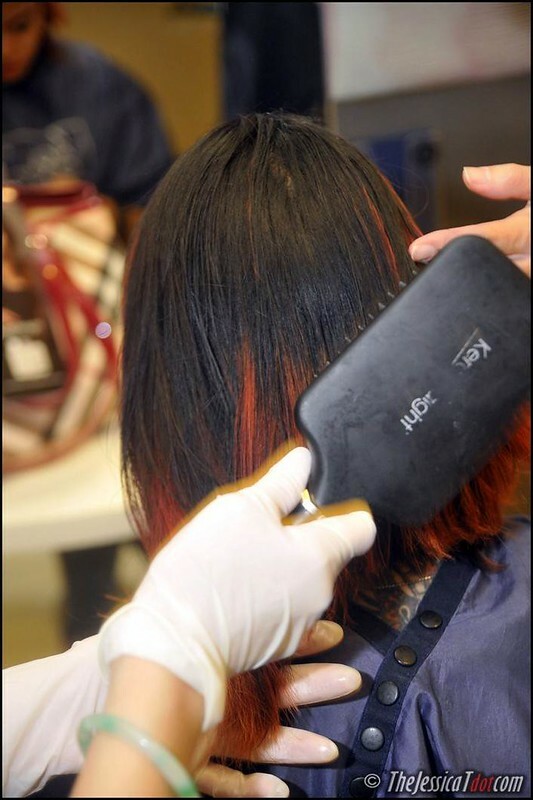 Three cheers for the Brazilian Keratin Treatment – a newfound gift to hair!! 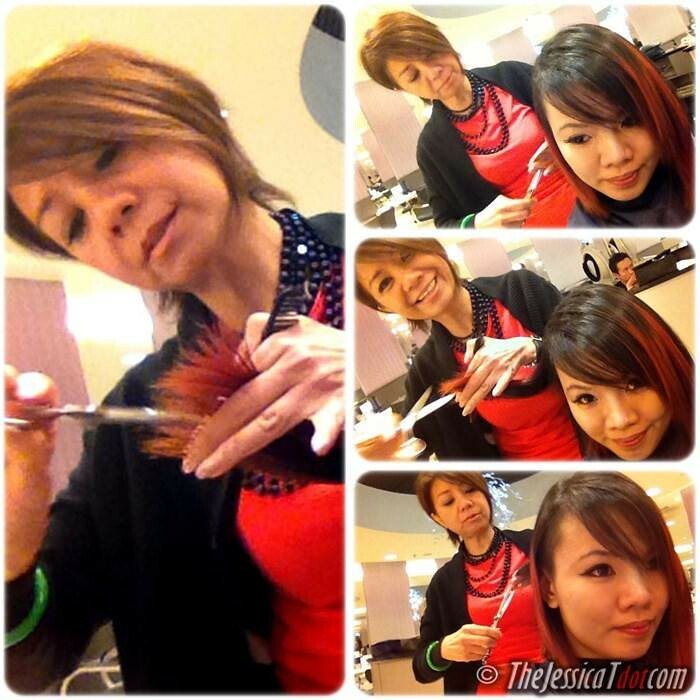 After the hair treatment, I felt like having a trim or a nice cut to complement my brand new hair. Being one that favours the bold, daring & experimental when it comes to hair styles, I left the decision entirely up to my hairmaster Winnie to surprise me with something new. She told me that she will give me an edgy, non-conventional haircut to suit my personality. Winnie truly read my mind She’s wonderful! She also gave me back my buzz-shaved, Skrillex-inspired undercut! 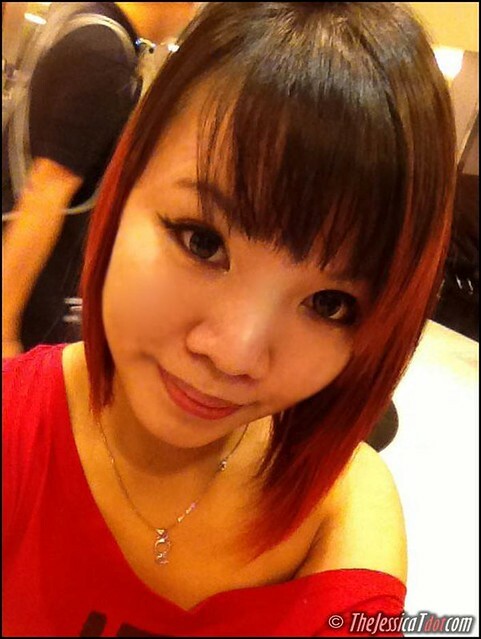 And lastly… a short, bold set of bangs! What do you think? Something different, hey? Cool, right? I loved my new look so much! She maintained my concave slant of my short hair but made it so much more choppier, edgier and deliberately uneven – just the way I like it! I noticed how this creative cut was also crafted to bear more of my nape tattoo. Told you she’s a wonder. Blessed with talents & an amazing personality yet so down-to-earth and fun! I hope my first-hand experience was comprehensive enough to guide you with everything you need to know about the Brazilian Keratin Treatment! I will continue giving you the latest updates bout new stuff/promos from A Cut Above! Try it for yourself! You’ll be impressed by the results. 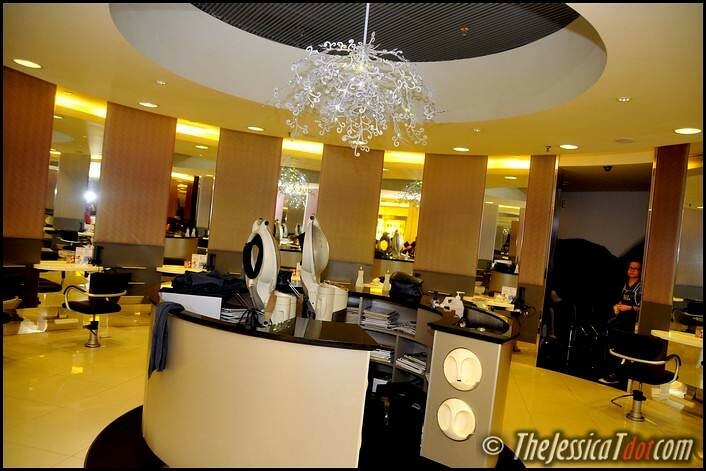 The KeraStraight Brazilian Keratin Treatment is only available at A Cut Above Group of Salons. 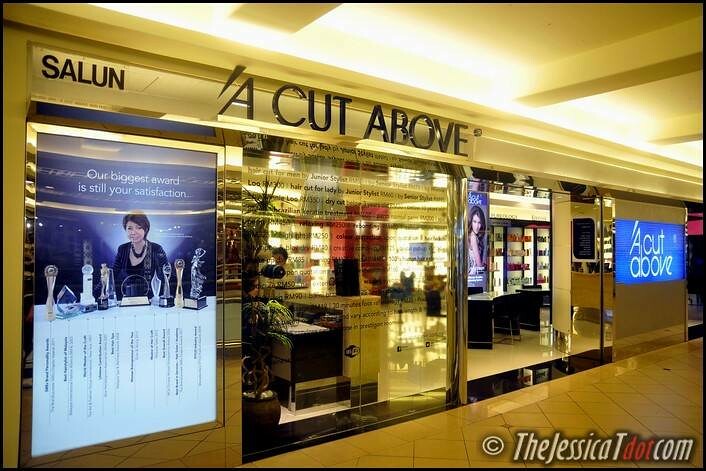 To make your appointment, call 03-22833131 or visit their webbie at www.ACutAbove.com.my for more details. Not straight, nor curly. Relaxing Rebonding by A Cut Above! A grand charity ball & gala dinner night at ‘A Musical Evening for the Children’ by A Cut Above! Animal lovers ahoy! The animal kingdom in Melbourne Zoo awaits you. Waka waka! ’tis time for Africa! Thanks! 🙂 I made sure to include all the info & experience that everybody wanted to know! Nice, very nice… Love the guy’s gold bow tie also…so cute. LOL!!! Haha yeah, I was very amused by his bowtie too. So unique and cute! Fantastic review! I think the price is totally justifiable, we can’t get this kind of price in S’pore :< Nicely done & u look great! Coincidentally, I just had my hair done just today. I've been invited by Aveda to try out their new colours & I love it! Thanks! 🙂 Yea, it’s very worth it especially the amount of effort, work, technology and quality of products used for this treatment. Which is why I stated that these once-in-a-while hair investment will do everybody good. 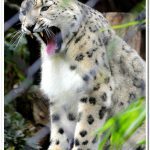 Interesting blogpost jess. Keen to give it a try too. : ). Btw, u look great! Yeah you totally should. It’s very worth it, pumps lotsa protein for your hair and protects it so well! Very big difference! So it really works. 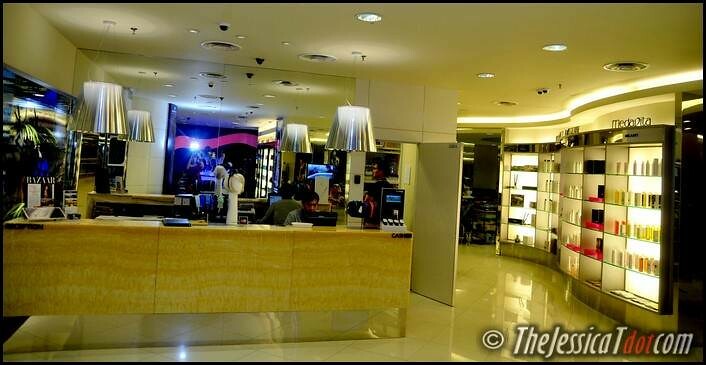 Midvalley too far for me so i think i will go to pavilion one. But I heard it’s not safe and gas is little bit poisonous bcos of some substance, right? 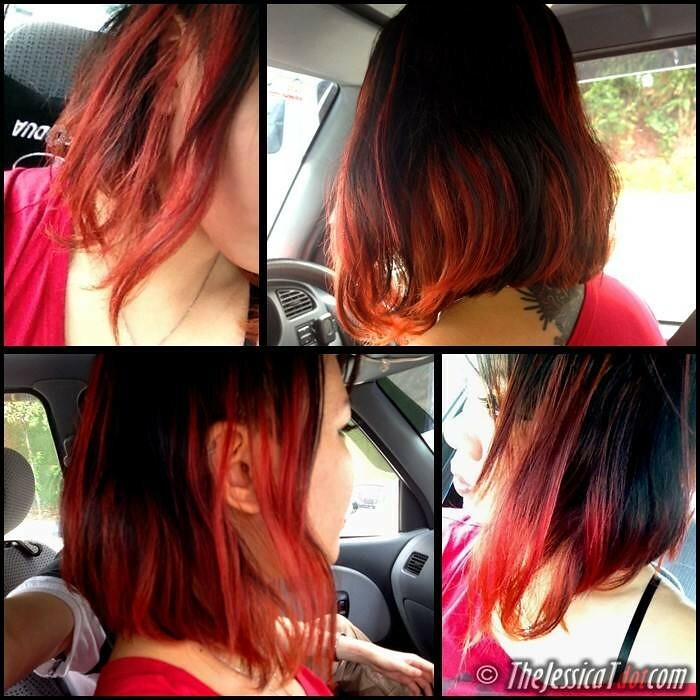 Yeah even I was shocked upon seeing the difference and feeling the difference on my own hair when I touched it. Yup it really works 🙂 Try it! Yes, they have it in Pavilion too, and all their outlets. Contrary to popular belief, not ALL bkt have that “gas” you’re talking about. This one by A Cut Above is by KeraStraight and it is completely free from those poisonous gas n chemicals. wahh!! vip lei you, the boss give you consultations some more..
lol, now your new hair cut makes you look like a kiddo already . .
haha.. kiddo.. younger nicer ma! nice hairstyle! it suits you! You convinced me! 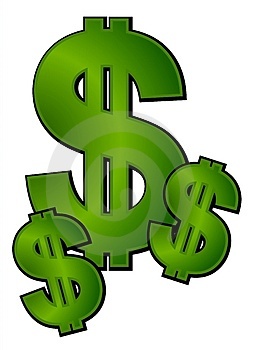 I used to think why so expensive also, nw understand why its so worth it! So I walk in then just ask them how much 4 my hair? need book appointment not first? thank you! Yup, price is to be enquired within, they need to check your hair condition first before deciding which/what is to be done to your hair. 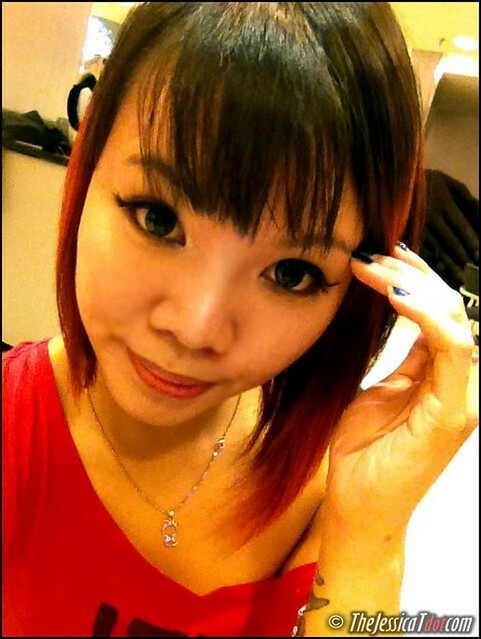 hi, just wanna know, if i want to consult with winnie loo, do i have to come to midvalley? Now we could have a perfect blowout with half the drying time and no hair straightener or fancy brush moves required. I would lior the bkt but it makes your hair look kinda flat, no? I’d like straight but with volume. Advice? I wish I knew the answer to that! Best people to ask will be the pros at A Cut Above on what to do. But for BKT, the flatness only lasts for the first few days so don’t worry! An afternoon tea-party with PETRONAS Switch 4 XTRA (Race Challenge) at Delicious @ Dua Residency, KL!